From resorts, health clubs, universities, school districts and HOA’s, C.V. Pools has got you covered. Call today for a competitive quote. Monthly maintenance & cleaning will keep your home’s pool sparkling and beautiful. Make your neighbor’s jealous, call today! Clients trust us for inspection and repair. Rest assured you’ll get an honest opinion every time. Schedule today! Our team at C.V. 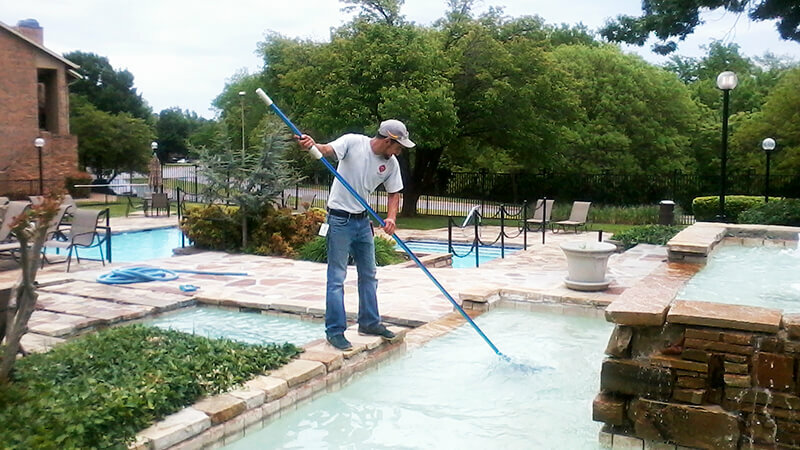 Pools has years of training and experience in handling pool related work. At C.V. Pools, we’re committed to protecting your investment and ensuring your swimming pool stays bright, blue and clean so that you and your loved ones can enjoy it all year long. Whether you want pool cleaning or maintenance services, we are available and will be right there to help anytime you contact us. As a leading pool service company in La Quinta, we get it. When you have a swimming pool on your property, it not only adds property value and appeal to your home but also boosts your quality of life for you and your family. C.V. Pools provides quality service at an affordable rate. Not only that, our friendly and experienced technicians have the training, supplies, and tools needed to carry out weekly tests and adjustments on your pool to ensure it’s clean, balanced and safe for use. Properly balancing your pool water and attaining the right PH level can be a challenge when you try to do it yourself. Keep in mind that when your pool water isn’t properly balanced, it can result in murky water, uninvited wildlife, foul taste, and even burning eyes. We’re ready to walk you through and care for your pool like it’s ours. For every visit, we can test all the factors that can potentially affect the condition, shape, and usability of your pool. 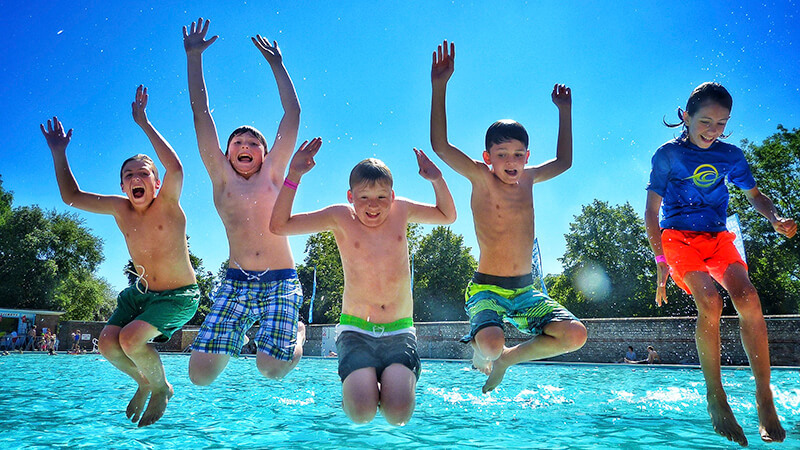 Spend a relaxing poolside weekend with your family not one spent cleaning or worrying about PH levels. Our priority is to provide all pool owners in La Quinta and the Coachella Valley with efficient and professional pool maintenance. Trust the C.V. Pool experts for service. Keep your swimming pool healthy, safe, and enjoyable. We are pool enthusiasts that care about customer service. Contact us and let us work on what we do best. At C.V. Pools we also offer La Quinta pool owners with pool maintenance packages (link to pool service page) such as spring equipment inspection, pool opening and closing for the season, weekly cleanings (link to pool cleaning page), unscheduled pool maintenance, and chlorine monitoring. Let us handle your pool maintenance needs. Always expect the best possible service at a reasonable price. La Quinta is a land of beautiful people and beautiful pools, and we are here and ready to keep it that way! If you want your swimming pool to stay sparkling clean all year long, you need an experienced, professional pool service company like C.V. Pools to make that happen. We’ll provide you with the know-how needed to keep your pool operating correctly. Enjoy the perks of having a pool to swim in without having to deal with cleaning and maintenance. Contact us today to learn more. Our clientele loves us because we’re always upfront and honest about their pool needs. We never hide costs or change their service packages without letting them know. Why not give us a try? Once you do, we guarantee you’ll stay. I have used other services in the past, C.V. Pools is my favorite. Great work for a great price! 2 Thumbs up! They do a fantastic job keeping my pool clean and serviced regularly, highly recommended! Have been using C.V. Pools for a few years now. They are very professional and always on time. We check and detect above ground water & air leaks. From pumps to motors, we've got you covered. Leaves, dirt and debris don't stand a chance. We'll keep your ph, alkaline and calcium levels balanced. Contact us today to learn more about how we can help you with your pool.